December 10, 2015 — A group of East Coast fishermen and a government watchdog group are suing the federal government over a shift in the cost of at-sea fishing monitors that they say could further decimate an industry that is already reeling. Of the 50 fishing boats in the Greater New Bedford harvesting sector, just three will be left if fishermen are forced to pay for their own federal monitors starting Jan. 1. Of those three boats working in Sector 13, only the “Buzzards Bay” out of New Bedford will definitely continue to fish, according to sector manager John Haran of Dartmouth. With the cost of the monitors, and the other federal restrictions on fishing, Haran said fishing boat owners will be losing money on their trips, effectively having to pay crew members $1,000 apiece for their trip. “It’s just a deeper and deeper hole from trip after trip that they can’t recover from,” said David Goethel, a Hampton, N.H.-based single boat owner. He said he the cost is a pretty serious burden for the remaining groundfishermen. In September, Ayotte introduced legislation to terminate NOAA’s independent third-party at-sea monitoring program for the Northeast Multispecies Fishery unless NOAA fully funds the program using funds within its existing budget. She also sent a letter, together with U.S. Senator Jeanne Shaheen (D-N.H.), to the Department of Commerce Acting Inspector General David Smith calling for a full investigation into NOAA’s at-sea monitoring program for the Northeast Multispecies Fishery, which includes New Hampshire’s coastal region. Also in September, Ayotte hosted a roundtable discussion with NOAA officials, New Hampshire fishermen, and business leaders at the Pease Tradeport in Portsmouth. She invited NOAA officials to New Hampshire to hear directly from fishermen and business leaders about concerns with fishing regulations, federal catch-share limits, NOAA’s process for determining fish stocks, the imposition of fees for “at-sea monitors” on commercial fishing vessels, and NOAA’s implementation of the Magnuson-Stevens Act. Ayotte is a member of the Senate Commerce Committee and the Subcommittee on Oceans, Atmosphere, Fisheries, and Coast Guard. The CFRF Board of Directors is pleased to announce the appointment of Anna Malek Mercer as Executive Director of the Commercial Fisheries Research Foundation effective immediately. Anna received a Bachelor of Science with a focus in marine biology from the University of New Hampshire in 2008 and a PhD in oceanography from the University of Rhode Island, Graduate School of Oceanography in 2015. Throughout her career, Anna has worked closely with the fishing industry to develop research projects, conduct field work, and communicate and apply results. Over the past three years, Anna has spearheaded a variety of research projects for the CFRF, with the goal of expanding fishermen’s involvement with scientific data collection and application. Given her background in collaborative research, her knowledge of the scientific process, and her respect for the fishing community, the Board of Directors believes that Anna is uniquely suited to lead the CFRF as Executive Director. The CFRF welcomes you to contact Anna at amalek@cfrfoundation.org or (401) 515-4662. December 10, 2015 (Saving Seafood) — This afternoon, Cause of Action, a government accountability organization “committed to ensuring that decisions made by federal agencies are open, honest, and fair,” held a media call with David Goethel and John Haran, the plaintiffs in a lawsuit filed against the Department of Commerce to overturn the Department’s decision to have the commercial fishing industry pay for the cost of at-sea monitoring. According to Cause of Action, “a large majority” of the commercial fishing operations in New England “will be forced to shut down if the government forces those who fish for cod, flounder and other ‘ground fish’ to pay out of pocket for at-sea monitoring, a program the government has traditionally funded.” The industry is expected to begin paying for the cost of at-sea monitors sometime in 2016. Today, Cause of Action is announcing that its clients, David Goethel, owner and operator of F/V Ellen Diane, a 44-foot fishing trawler based in Hampton, N.H., and Northeast Fishery Sector 13, a nonprofit entity comprised of over 20 groundfishermen located up and down the eastern seaboard, are suing the U.S. Department of Commerce over a program that would devastate much of the East Coast’s ground fish industry. The complaint challenges the legality of a federal mandate requiring groundfishermen in the Northeast United States to not only carry National Oceanic and Atmospheric Administration (“NOAA”) enforcement contractors known as “at-sea monitors” on their vessels during fishing trips, but to soon begin paying out-of-pocket for the cost of these authorities. In addition to the complaint, the Plaintiffs have filed a motion for a preliminary injunction that would protect fishermen from having to bear the costs of the at-sea monitors. “Catch Shares” are a fishery management tool that dedicates a secure share of quota allowing fishermen or other entities to harvest a fixed amount of fish. Since 2010, the National Oceanic and Atmospheric Administration has coerced New England groundfishermen like Mr. Goethel into joining a form of catch shares known as “sectors,” where they share quota, and are forced to invite federally-contracted monitors onto their boats anytime they set out to sea. 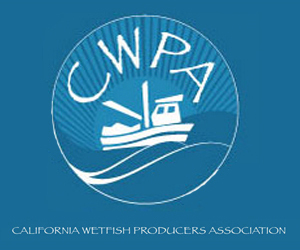 Although the agency has claimed in Federal court that “Sector membership is voluntary; permit holders need not join a sector in order to be able to fish,” the reality is they have designed the alternative, known as the “common pool” to be so prohibitive, that fisherman are forced to join a sector to remain economically viable in the groundfish industry. Catch Shares were promoted heavily by environmental groups and NOAA during the first years of the Obama Administration. Former NOAA Administrator Jane Lubchenco, asserted that “fisheries managed with catch share programs perform better than fisheries managed with traditional tools.” She promised that catch shares are “the best way for many fisheries to both meet [federal mandates] and have healthy, profitable fisheries that are sustainable.” However, the promises made by Federal appointees and environmentalists have not been fulfilled in New England. Unfortunately, it’s about to get much worse for these struggling fishermen, who are already policed by the U.S. Coast Guard, the National Oceanic Atmospheric Administration (NOAA) and agents from the U.S. Fish and Wildlife Service. Some time in “early 2016,”, NOAA will begin forcing them to pay the costs associated with having at-sea monitors watch over their shoulders. This unlawful mandate will cost Mr. Goethel and the groundfishermen of Sector 13 hundreds of dollars per day at sea, which, for many of them, is the difference between sinking and staying afloat. In fact, according to a study produced by NOAA, nearly 60% of the industry will be rendered unprofitable if it is required to pay out of pocket for these monitors. The Secretary of Commerce declared the groundfish fishery an economic disaster in 2012. The industry continues to struggle with the precipitous decline in groundfish profitability, as evidenced by a four-year low in groundfish revenue of $55.2 million for Fishing Year 2013 – a 33.6 percent decline from Fishing Year 2010. Congress has directed NOAA to use its appropriated funding to cover the cost of these at-sea monitors, which NOAA has refused to properly utilize and allocate in accordance with congressional intent. As mentioned above, NOAA itself produced a study indicating that upwards of 60 percent of the groundfish industry could be rendered unprofitable if it is required to pay for at-sea monitors. Mr. Goethel, who has been fishing for over 30 years, holds a B.S. in Biology from Boston University, and worked at the New England Aquarium as a research biologist before choosing to go back out to sea as a fisherman. Mr. Goethel served two terms on the New England Fishery Management Council, and has been an advisor to seven state and federal fishery management boards, including the Atlantic State Marine Fisheries Commission and the governor’s commission on marine biology. 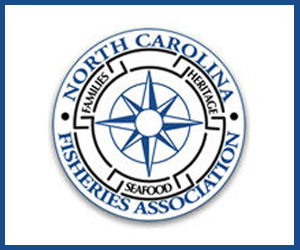 Mr. Goethel has been awarded the National Fisherman’s Highliners Award for his active involvement in cooperative efforts to research and manage marine fisheries resources, and is a member of the Yankee Fishermen’s Cooperative. 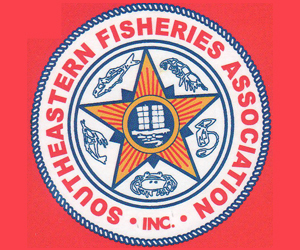 Northeast Fishery Sector 13 is a nonprofit organization comprised of 20 active groundfishermen who are permitted in Connecticut, Massachusetts, New York, North Carolina, Rhode Island and Virginia. The number of groundfishing activity within the sector has declined sharply in the past five years due to poor science and overregulation, which has resulted in quota cuts. Click here for more information about the sector. Cause of Action is a government accountability organization committed to ensuring that decisions made by federal agencies are open, honest, and fair. December 9, 2015 — The following is an excerpt from a story published today in the Boston Globe. The plaintiffs in this lawsuit are David Goethel, who has been a fisherman for over 30 years and has served two terms on the New England Fishery Management Council, and Northeast Sector 13, a nonprofit organization comprised of 20 active groundfishermen who are permitted in Connecticut, Massachusetts, New York, North Carolina, Rhode Island and Virginia. They are represented in the lawsuit by Cause of Action, a government accountability organization committed to ensuring that decisions made by federal agencies are open, honest, and fair. A group of fishermen in the region filed a lawsuit Wednesday against the National Oceanic and Atmospheric Administration in federal district court in Concord, N.H., arguing that the agency violated their rights by forcing them to pay for a controversial program that requires government-trained monitors on their vessels to observe their catch. The fishermen, who in the coming weeks will be required to pay hundreds of dollars every time an observer accompanies them to sea, argue that the costs are too much to bear and will put many of them out of business. They’re asking the court to prevent the regulations from taking effect when the federal dollars now subsidizing the program run out early next year. Fishing officials acknowledge that requiring the fishermen to pay for the so-called “at-sea monitoring” program will increase the hardship of fishermen who are already struggling with major cuts to their quotas. A federal report this year found that the costs could cause 59 percent of the region’s groundfishing fleet to lose money. But agency officials have said that NOAA no longer has the money to pay for the program, and that by law, the fishermen were supposed to start paying for the observers three years ago. The government has defrayed the costs because of the industry’s financial turmoil, said John Bullard, the agency’s regional administrator. In February, the agency told fishermen they would have to start paying later this year. Bullard declined to comment on the lawsuit. He and others noted that the fishermen may end up paying less than they expect for the observer program. December 10, 2015 — PORTLAND, Maine (AP) — A group of East Coast fishermen is suing the federal government over a shift in the cost of at-sea fishing monitors that they say will cripple the fishery during an already difficult time. Officials with the National Oceanic and Atmospheric Administration have said money for monitors in New England groundfisheries such as cod and haddock will be gone by early 2016. The monitors are trained workers who collect data to help determine future quotas on certain species of commercial fish. Under the new rules, fishermen will have to pay for the monitors, which can cost about $800 per trip. Fishermen have spoken out for months against shifting the cost, saying it will sink many who are already dealing with the dwindling New England cod population and choking cuts to quotas. A group including more than 20 groundfishermen is suing the federal Department of Commerce, which includes NOAA, in federal court in New Hampshire with a contention that the cost shift is illegal. 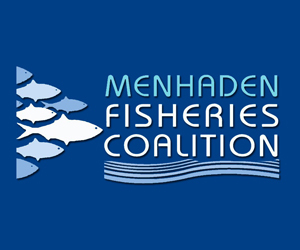 The group is from New Hampshire, Connecticut, Massachusetts, New York, North Carolina, Rhode Island and Virginia and it is seeking an injunction to protect fishermen from having to pay up. December 10, 2015 — A New Hampshire fisherman has filed a lawsuit in federal court against the U.S. Department of Commerce and the National Oceanic and Atmospheric Administration challenging the legality of mandated at-sea monitoring for the Northeast groundfish fleet. David Goethel, owner of the 44-foot fishing trawler Ellen Diane out of Hampton, and Northeast Fishing Sector 13, are the named plaintiffs in the suit filed Wednesday in U.S. District Court in Concord, New Hampshire. The suit also has the backing of Cause of Action, a non-profit governmental watchdog organization. The suit also names as defendants Commerce Secretary Penny Pritzker, NOAA Administrator Kathryn Sullivan, NOAA Assistant Administrator Eileen Sobeck and the National Marine Fisheries Service. Last week, NOAA said it only has enough money left to fund at-sea monitoring until the end of 2015 and will shift the cost of the monitoring, estimated at $710 per vessel per monitoring day, to the fishermen sometime early in 2016. The suit comes about a week after the New England Fishery Management Council voted to ease the level of monitoring on groundfish vessels from the current 24 percent of all trips to about 13 percent as a means of alleviating the economic impact of absorbing the at-sea monitoring costs. 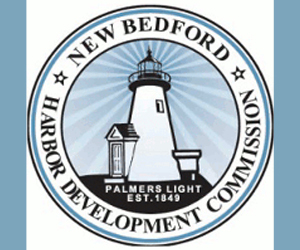 A new federal funding opportunity is available for Rhode Island fishermen through the Groundfish Disaster Economic Assistance Program, a direct-aid disbursement plan funded by the NOAA in response to the September 12, 2012 Northeast Multispecies (groundfish) disaster declaration by the Acting Secretary of Commerce. The groundfish disaster was declared for the 2013 fishing year in the states of Rhode Island, New Hampshire, Massachusetts, Maine, Connecticut, and New York. On May 28, 2014 the state fishery directors from Rhode Island and other affected states, in partnership with NOAA, announced a three-part framework for the distribution of $32.8 million in federal disaster aid monies to the New England groundfish industry. Rhode Island has completed the distribution of about $1.4 million to 43 pre-qualified federally permitted commercial groundfishermen (phase one) and this week began accepting applications for phase two of this framework. In this phase, Rhode Island will distribute $519,656 for additional assistance to the Rhode Island commercial groundfish industry. 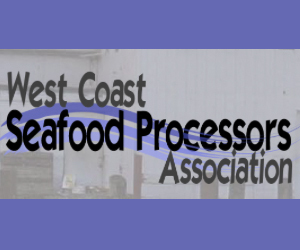 This state-specific program will be used by DEM to mitigate economic hardship experienced by the commercial groundfish industry not previously addressed by the phase one aid to qualified federal permit holders. This objective responds to cumulative economic impacts, which include lost harvest opportunities because of reduced quota allocations, high costs to operate within a sector, past debt incurred to survive the management program, and added investment needed to continue in sector programs, all of which have contributed to decreased revenue for a significant portion of the industry. Phase two of Rhode Island’s aid disbursement, the Groundfish Disaster Economic Assistance Program, extends direct-aid payments beyond the federal permit holders, to the captains and crew members who worked aboard the 43 vessels during the same four-year period when the reduced quotas were having the most impact on the commercial industry. It also extends direct-aid payments to the for-hire permit holders who were active in the groundfish fishery during the same period, as well as captains and crew associated with those permitted vessels, thereby addressing the impacts incurred by that sector of the groundfish industry. Rhode Island’s Groundfish Disaster Economic Assistance program addresses the restoration and sustainability of the State’s commercial groundfish industry by also providing direct aid for the administration of RI-based sectors, which play a central role in the management program and are in need of financial support to remain viable. 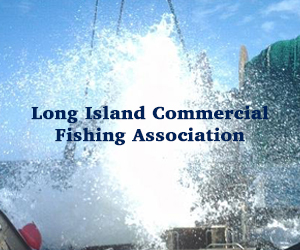 It is the goal of this disaster aid to ensure the needs and interests of the groundfish community are being met so that we can promote long-term stability in the Rhode Island commercial fishing industry. Additional information and applications can be found online at www.dem.ri.gov/groundfish.htm. Interested applicants should contact the program administrator, Amy MacKown, at 401-782-4492 or amy.mackown@dem.ri.gov. The deadline to submit an application is January 15th. December 9, 2015 — The Legislature will take up bills dealing with the lobster and elver fisheries when it returns to work next month, but new licensing rules for the scallop industry will likely have to wait. Last month, the Legislative Council approved two bills proposed by Rep. Walter Kumiega (D-Deer Isle) for consideration by the full Legislature when it returns to work in January. The council has to green-light any new bills that lawmakers want to introduce during the Legislature’s second session. Kumiega, House chairman of the Legislature’s Marine Resources Committee, will offer a bill that would, he said, “provide increased flexibility and promote maximum utilization of the elver quota by Maine’s elver harvesters,” if enacted. 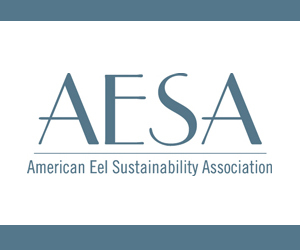 Current law calls for a 48-hour fishing closure each week to provide an opportunity for juvenile eels to pass upstream on their seasonal journey from the sea to their spawning areas in Maine’s streams, lakes and ponds. The closed period is now set by statute and runs from Friday at noon to Sunday at noon. Kumiega’s bill would give DMR flexibility to set the 48-hour weekly closed period by rule prior to the start of the season based on the timing of the tidal cycle. DMR would consult with industry members to determine which weekly 48-hour period would have the least impact on harvesting opportunity by setting the closed period when the tides are the least advantageous to harvesting. The high price of elvers in recent years has made the fishery second only to lobster in terms of the value of the fishery in Maine.